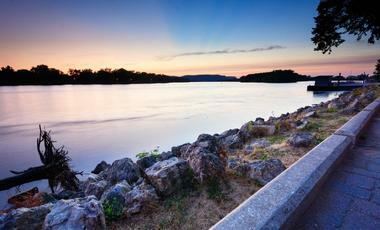 Cruise down historic American rivers on a classic Steamship, with themed cruising and more. 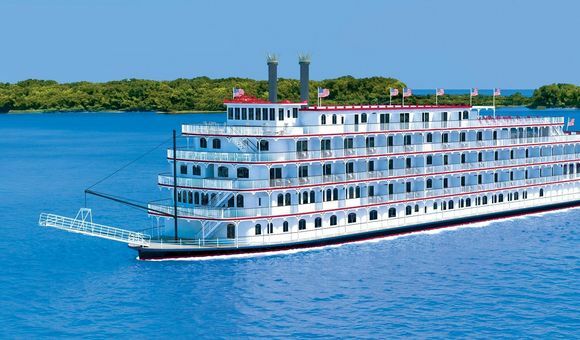 American Cruise Lines promises extraordinary, intimate and fulfilling small ship river cruising experiences through historic American waterways on board its fleet including the Queen of the Mississippi, American Pride and Independence. American Cruise Lines won the World Travel Award in 2015 making it North America's leading river cruise company. In addition, it boasts many more travel awards from 2012-2015 which stand as testament to the expertise and highly personalized service implicit on a cruise with American Cruise Lines. Indulge in the relaxing ambience, sensational fine dining and locally grown menus on board, as well as exciting shore excursions including walking and guided tours. 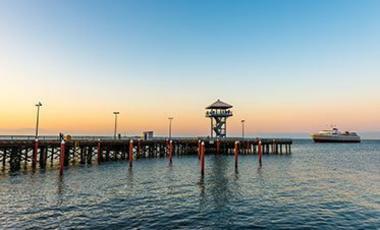 Explore the attractions of New York or embark on a trolley tour through Annapolis, MD. Cruise Alaska, Pacific Northwest, Mississippi, North and Southeast USA. Before you dine each evening, complimentary cocktails and hors d'ouevres will greet you as you relax to the memory of the days events. American Cruise Line gives its passengers the all-American experience. On selected cruises, there are complimentary experiences with evening cocktail hours, pre-cruise hotel stays and more! If you enjoy visiting and exploring new cities, the American Cruise Line ships stop at ports every day with no days at sea, giving you the full experience of exploring the United States. Embark on a seven-night adventure on American Cruise Lines' American Spirit, departing and arriving in Seattle, Washington. This voyage will take you around the northwestern pocket of the Evergreen State, visiting Anacortes, Friday Harbour, Poulsbo and much more! Don't forget to pack your camera! 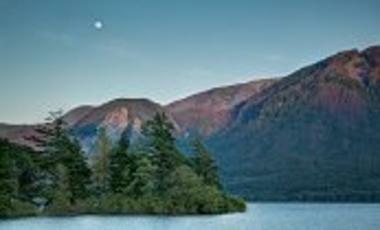 The State of Washington offers not only stunning views of lush forests, but sights of the Pacific shore as well. The Queen of the West will take you on a four-night journey on the Columbia River, embarking from and returning to Portland, Oregon. As the Columbia River divides Oregon and Washington, the vessel will bounce between the two states, sailing to Astoria, Mount St. Helens and more! Head to the stern of the Queen of the West to see how the vessel is being propelled: The ship is an authentic paddlewheel boat! On this 21-night adventure, the cruise ship America will send you northbound up the Mississippi River, from New Orleans, Louisiana to St. Paul, Minnesota! This voyage will sail through eight states, including Tennessee, Illinois, Wisconsin and much more! With three full days of cruising, reflect on the journeys of immigrants on the Mississippi River, searching for the American dream. America is the finest Mississippi paddlewheeler ever built, introducing features never before seen on a Mississippi riverboat. Queen of the Mississippi is a new paddlewheeler designed to deliver an experience unlike any other riverboat. The American Eagle features design elements reminiscent of an earlier time coupled with a surprising assortment of modern luxuries. The Queen of the West is a sternwheeler that operates cruises along the Columbia, Snake and Willamette Rivers in Oregon and Washington. Independence is a small cruise ship for overnight coastal, river, and inland waterway cruising within the continental United States. The American Spirit is uniquely designed to navigate the inland waterways of Alaska. The American Star brings guests to places of historic interest and magnificent beauty, from charming small towns to gracious southern ports. The American Constellation was introduced to the American Cruise Lines fleet in 2017. She offers spacious staterooms, various lounges and private balconies to allow her guests enjoy themselves to the fullest extent. Introduced to the American Cruise Lines fleet in 2018, the American Constitution offers her guests some of the largest staterooms in small ship cruising, modern amenities for everyday comfort and a personalised service.